Your guide will pick you up at your hotel and you will start by going towards Quriyat. Stop at Bimah Sinkhole, a spectacular limestone crater with inviting blue-green water. 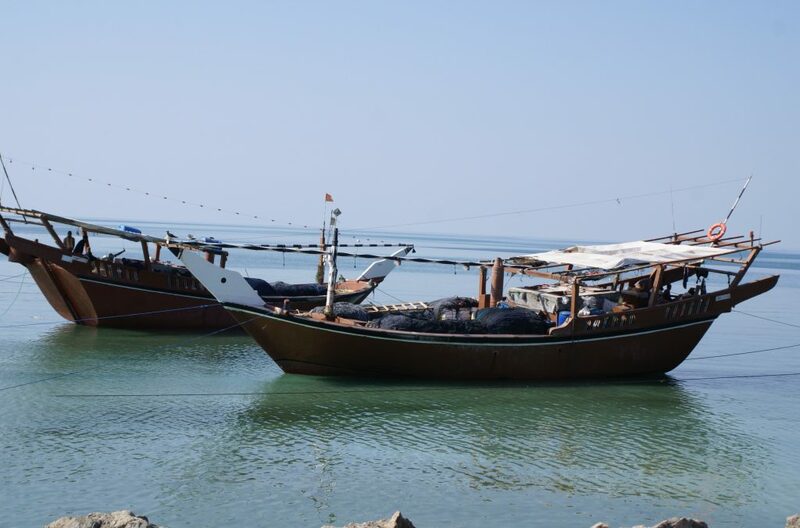 This drive along the coast offers great views of the blue waters of the Gulf of Oman. Continue your journey to Sur. By the 6th Century, Sur was an established centre for trade with East Africa. Today the city has retained its reputation as a major Dhow building town. Spend some time exploring Sur before taking the road. Enter Wadi Tiwi with its blue-green pools of water surrounded by palm trees.